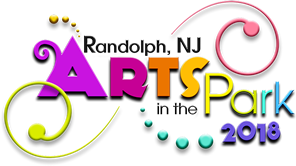 Randolph Arts in the Park, sponsored by Artworks Studio, will be held on Saturday, May 19, 2018 from 3:00 to 7:00 p.m. Applications are being accepted from now until April 11, 2018. Applications may be downloaded below and are also available at the community center, library and municipal building. Entries are limited to literary works including but not limited to fiction, non-fiction, poetry, drama and spoken word. Interested in being a sponsor? Download our sponsorship form .